Visitors from twenty-two states + England came to St. Louis for this show last year, find out why! The 120-man chorus from St. Charles, MO, is proudly directed by Dr. Jim Henry, of the choral studies department at the University of Missouri-St. Louis, and Jonny Moroni, baritone for the world-champion barbershop quartet, Vocal Spectrum. 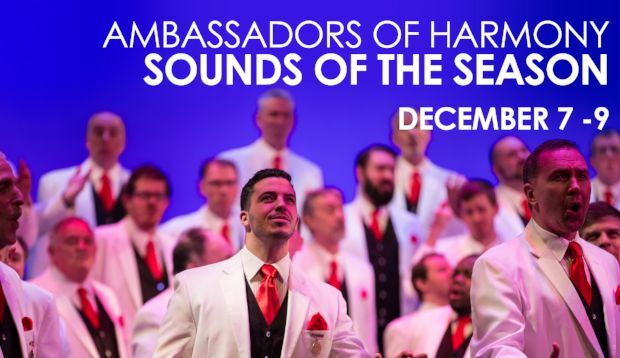 Don’t miss this powerful annual show, Sounds of the Season 2018.